This lot features a 1963 World Series program which remains in nice overall condition. 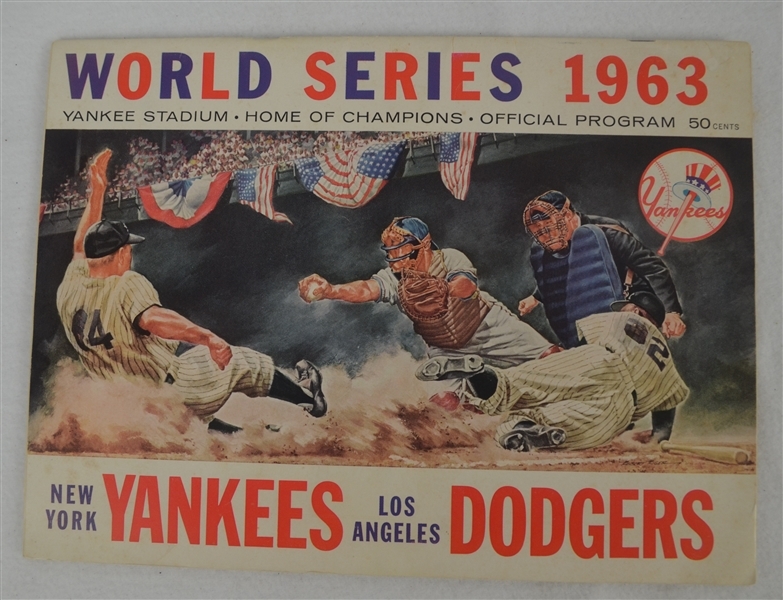 The 1963 World Series matched the two-time defending champion New York Yankees against the Los Angeles Dodgers, with the Dodgers sweeping the Series in four games to capture their second title in five years, and their third in franchise history. Starting pitchers Sandy Koufax, Don Drysdale, and Johnny Podres, and ace reliever Ron Perranoski combined to give up only four runs in four games. 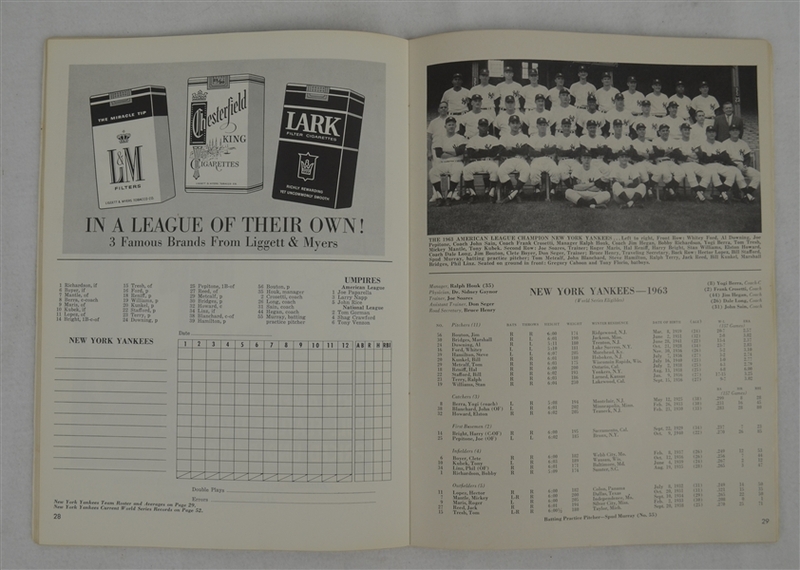 This was the first time that the New York Yankees were swept in a World Series in four games.